We increase knowledge and inspire learning about nature and culture, through outstanding research, collections, exhibitions, and education, in support of a sustainable future. Free admission. No tickets are required for entrance. For more call 202-633-1000. Open every day except Dec. 25 from 10:00 AM to 5:30 PM. We are open until 7:30 PM for certain holidays. Please check our hours calendar for these late closings. 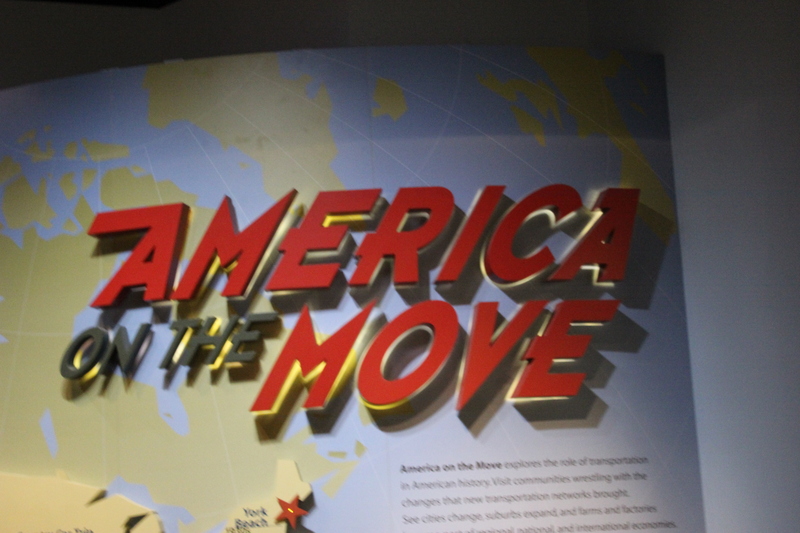 Sadly this museum did not come to life-like the popular movie with Ben Stiller but there are so many exhibits that are interesting and fun for kids. Topics such as wild life, sea life, rocks , egypt and so much more can be explored. Near far wherever you are . 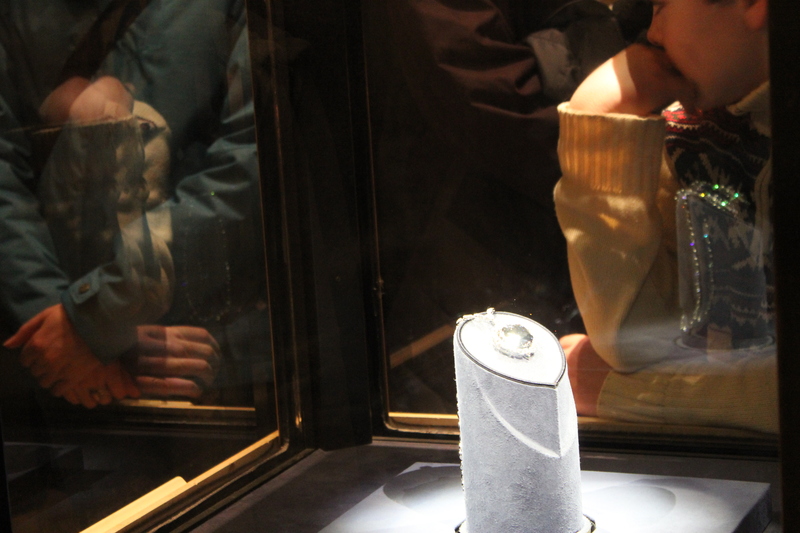 . .
For Titanic fans this is the place where the Hope Diamond can be found! Contrary to cinematic belief it is not at the bottom of the ocean. . . I know I am sad to report this news I know all of my hopes and dreams were crushed when I realized that the story of Jack and Rose poetically told by Kate Winslet and Leo Di Caprio was fiction. The employees are helpful and the museum is kid friendly and price appropriate. Take the trip and enjoy the trip with your family. 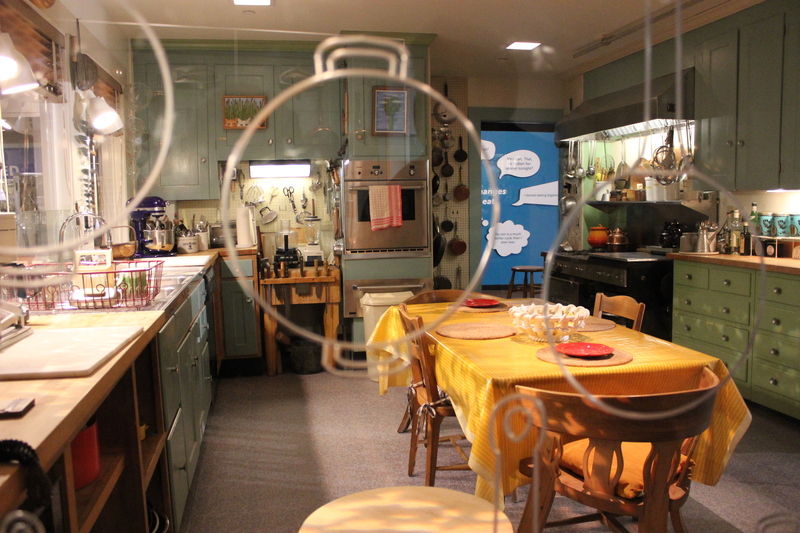 This is a museum where kids are welcome to enjoy themselves, walks around and have fun. 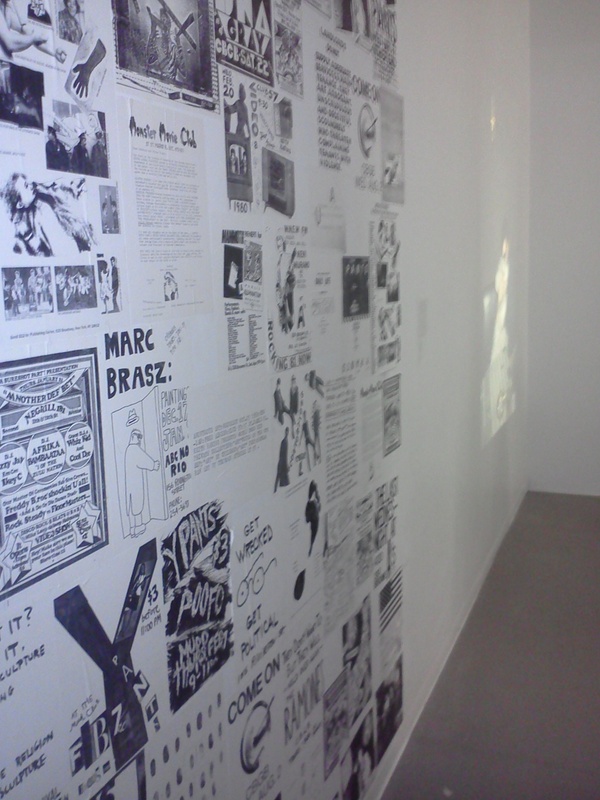 You can travel the museum as you please because the content is light and the visuals are fun. There are so many displays that are larger than life you will be intrigued to explore more and more. Take your time bring the kids learn and enjoy. This blog is about the first impression of the museum. I want to know what strikes the common visitor and ways to fix those issues. I love problem solving and figuring out ways to make a museum experience as positive as possible. 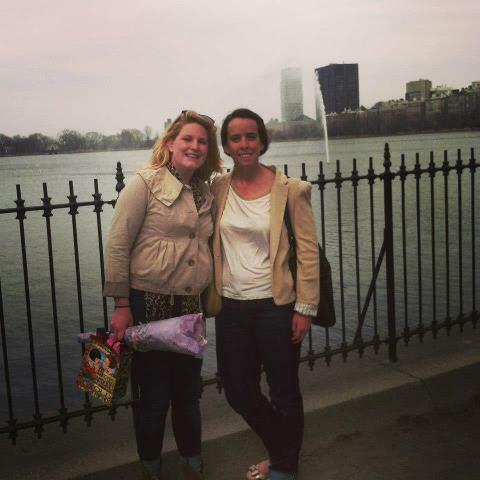 This post will include an interview from my friend Maggie Howley. We attended the museum together but I am always curious to see how certain aspects of the museum impact others. I have a fear my education and course work comes at a disadvantage because at times I over think how certain things will effect a visitor experience and I feel hearing other peoples opinions always helps me clear my head. What aspects of this visitor experience make it a memorable trip? prominence on Museum Mile made me, as a visitor,instantly intrigued. We did utilize public transportation, which entails a 10-15minute walk through the beautiful Central Park, and it’s adjoining reservoir. Those traveling from Penn Station needonly one subway and the brief walk to get to the museum. “over artsy” pieces that didn’t catch my eye. visitors were allowed to enter stood out to me. • Is message being articulated well? 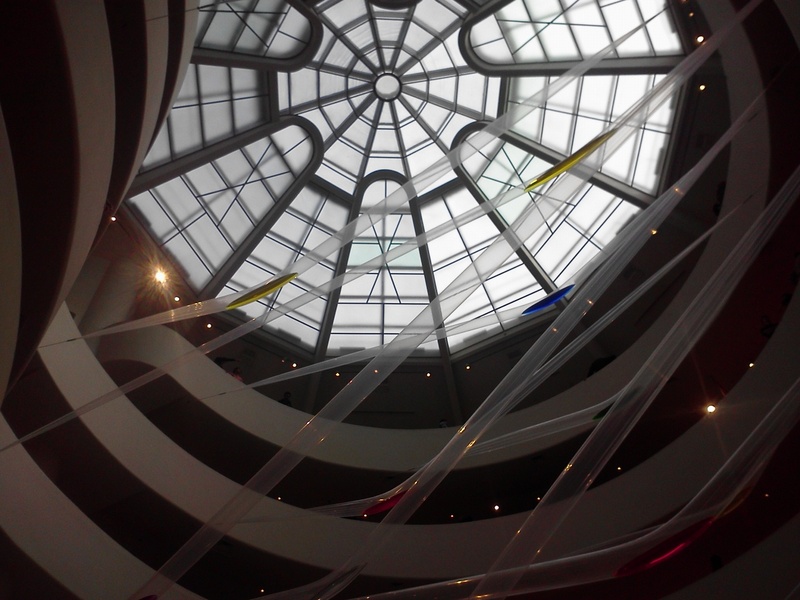 reasonable for a top-notch museum like the Guggenheim. 2. Are employees personable / helpful? None that particularly stood out. • Do they have knowledge of galleries and tours? 3. Are provided maps and information helpful? Are content over worded or under described? there a lot of traffic? 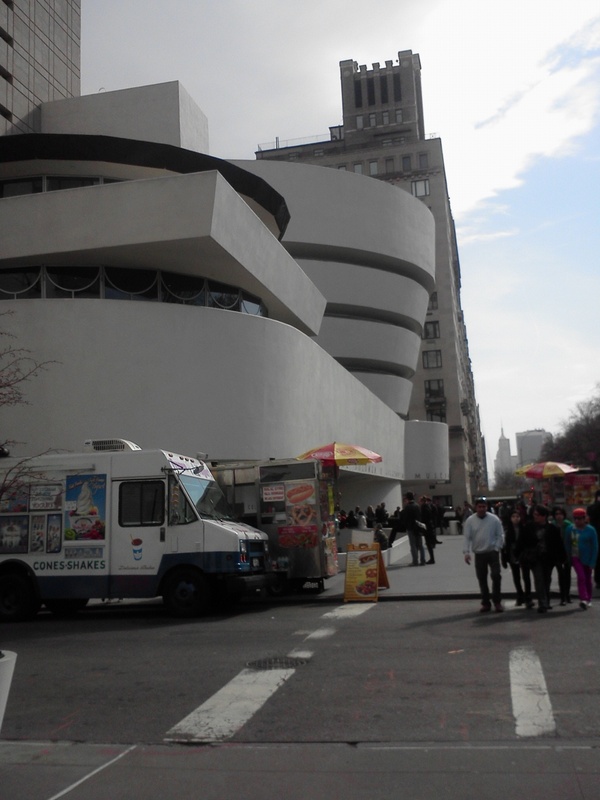 Because of the architecture there is really only one way to travel the museum. You can walk all the way up and then you walk all the way down. Elevators are provided but the levels basically flow into each other. There are single hallways in which the entire museum can walk therefor at times there was some congestion. 6. Is the art the main focus? separate but equal and very well described. 7. 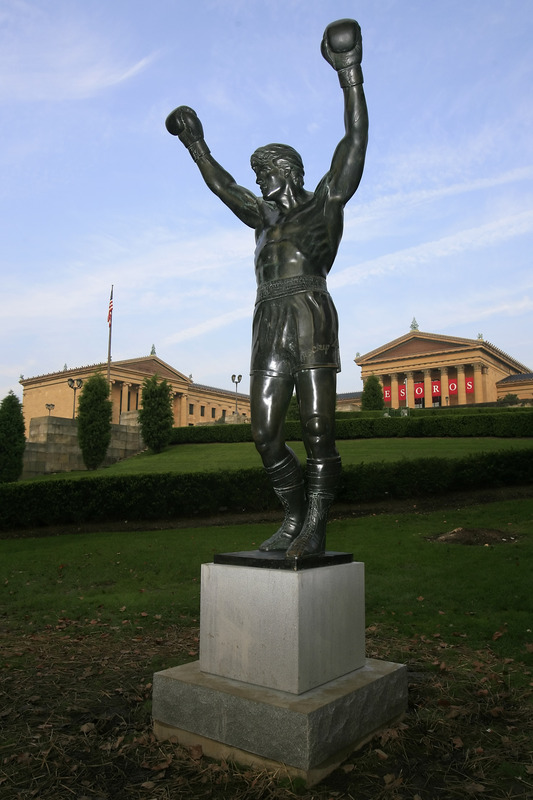 What visual’s really work or fail within the museum? great deal of visual pleasure. 8. Is there any interactive media? technology and it created a better understanding. The museum has also created an application on the Iphone to enhance your visit the flaw being that this is only accessible to Iphone users. 9. What types of people are attending the museum? art knowledge and tourists. Very welcoming and accessible. more cultured and excited art appreciator. The Museum Building is fully accessible on the ground floor. 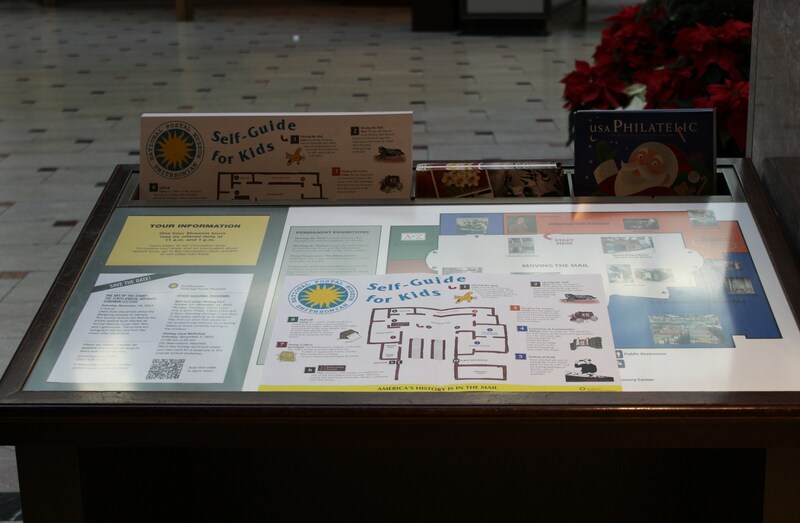 A “Patron’s Guide” illustrating artworks installed on the small mezzanine is available at the Museum’s reception desk. The Visitor Center and the Domestic Arts Building are fully accessible. Accessible walkways allow for access to the 42-acre, landscaped sculpture park. 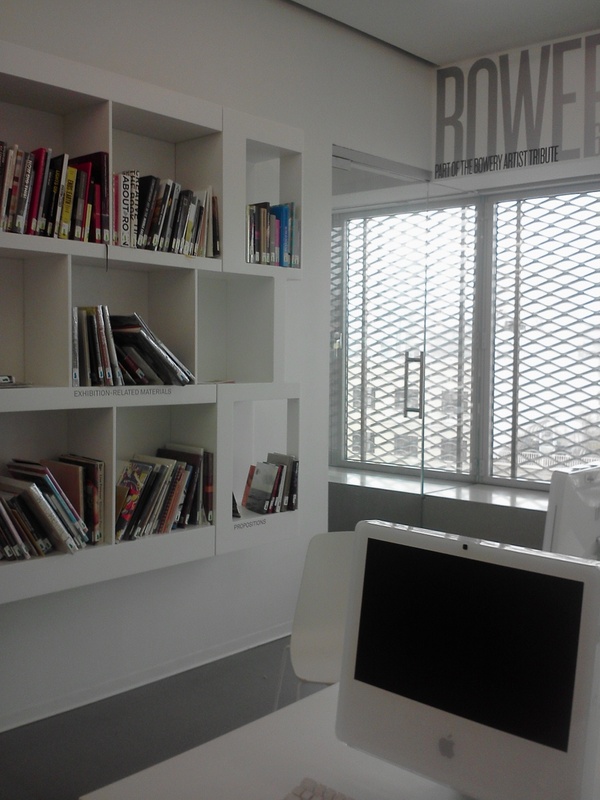 •interpreting these exhibitions through publications, lectures, workshops and other educational programs. Grounds for Sculpture is in an odd location. It is important that you travel there on a nice day because the entirety of your trip will be spent outside. The prices are listed above. At first,I had felt that they seemed high but after seeing the property and how well-kept the grounds and sculptors are it becomes more apparent where the money has been spent. The ground for Sculpture is an interesting museum experience. There is very little employee interaction. You will not find security guards at your right and left ensuring you are keeping your distance from a specific piece, you have the ability to roam free and create your own path at the grounds for sculpture. There are paths and seats located around the grounds which give you the option to take a break and enjoy the beauty you are surrounded by. Although there is a good chance that you will see others traveling, there is plenty of room so that at no point you will be overwhelmed by crowds. Unfortunately ,in my travels I was unable to find a bathroom therefore I would recommend a bathroom trip before you begin your walk through the grounds. There is also a Steven Starr property at this museum so if you are interested it may be a good place to stop and get something to eat. These sculptures are the main focus of the property. The weather and the grounds only high light each piece you are surrounded by. 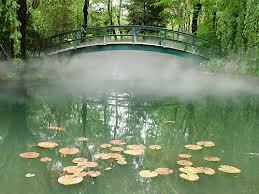 This is a perfect place to take kids or even attend with someone special. You have the ability to set your own pace and really enjoy the art. There is a sculpture surrounded by trees that is every person’s child hood dream as a tree house. As you stand up there and look around at all the sculptures I would say it’s a view definitely worth the climb. I would also recommend looking for the recreating of Monet’s Water lilies it’s a great opportunity to see yourself in a famous piece of artwork. •to preserve, maintain and make available for public education and appreciation Frank Lloyd Wright’s masterpiece, Fallingwater. For the safety and comfort of all visitors, children must be six-years-old to accompany adults on a Guided House Tour and nine years old to accompany adults on any special tours. Children younger than six-years-old, including infants and toddlers, are not permitted on any tours. Additional information about visiting with infants and children at Fallingwater can be found under Tips for Families. ** I would also like to clear something up. I have recently had some question as to my definition of whiteness. When I refer to whiteness within a museum I am referring to a typical gallery setting of light wood floors, white walls, and plain wall tiles that describe the piece. Fallingwater is in Mill Run, Pennsylvania. The Kaufmanns’ enjoyed weekends and summers in Mill Run. Believe me when I say Mill Run,Pennsylvania is not near anything, but with that said Fallingwater is worth the trip. The area is surrounded with trees and the sound of silence. Fallingwater was designed by Frank Lloyd Wright. This particular house was designed for a wealthy family named the Kaufmann. The Kaufmanns’ son studied under Wright and recommended him for the project. The family loved the outdoors and ultimately were interested in a view of the water fall. 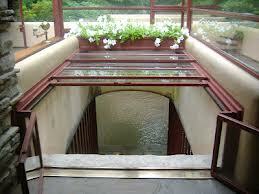 Wright took this a step further and recommended incorporating the waterfall into the design of the house. If you plan to make the trip I will let you know there is a significant amount of walking involved. Ticket purchase is separated from the actual location of the house. The employees are the backbone of Fallingwater. This home and location contains so much history and the employees make it their priority to educate you as much as they can as they travel with you throughout the property. Fallingwater contains so many important details and the employees give you an opportunity to have someone guide you through the house and point out so many fascinating details. There are numerous parts of this experience that I loved. The attention to detail that Wright has provided through all aspects of the house is unbelievable. A shallow pool and spout were placed outside the entrance of the home to clean your feet before entering because Wright knew how much the Kaufmann family enjoyed the outdoors. Nature and the outdoors was the main focus of this property and with that in mind Wright created a hatch within their living room in order to walk right out to the water. He also provided the family with countless balconies’ to walk directly outside. In order to make each bedroom personalized the ceiling heights were alters to provided and optimal view to the outdoors. 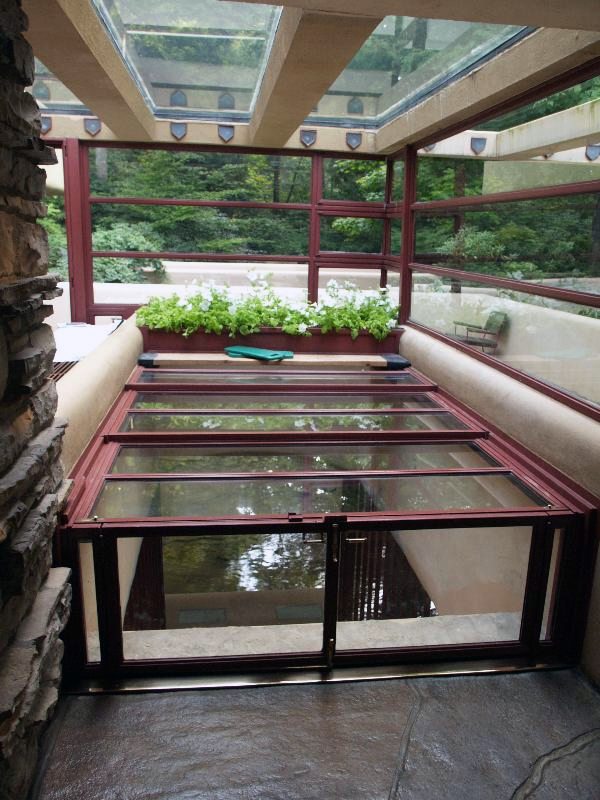 Theses personalization’s and more are what make the experience at Fallingwater so amazing. It is apparent as you walk through this house that no detail was too small for Wright and that each project was created with the absolute most attention to detail. 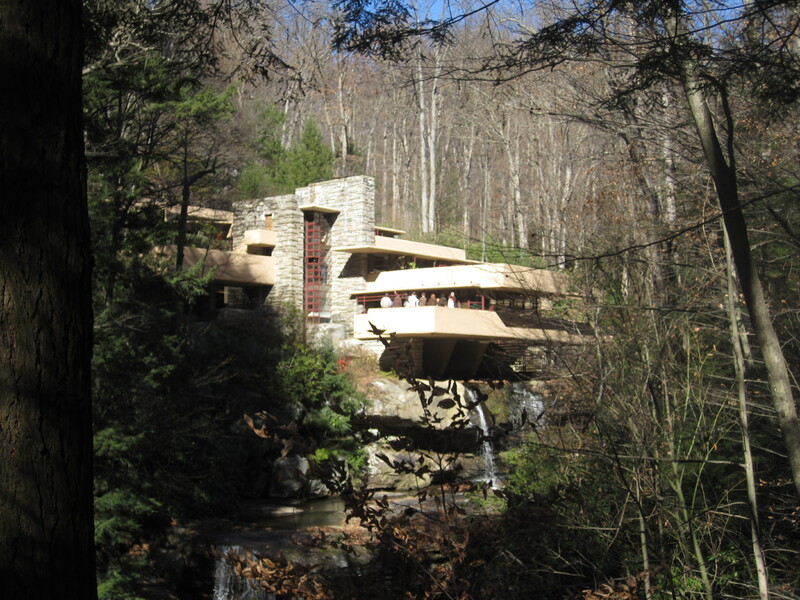 Fallingwater has a personal meaning to me. In the fourth grade I remember learning about Fallingwater. I was completely enthralled by the detail and effort made to create this house. I fell in love with this house and the other places that Frank Lloyd Wright created. I had made it one of my goals that I would visit this property and many others. Fallingwater exceeded every expectation. Articles and books can not capture the location of the property. The calming sounds of running water, trees blowing and birds chirping only compliment the timeless design that is present in Mill Run Pennsylvania. As my time at Drexel quickly comes to a close I have found myself contemplating the effects of time. Time is something of which one can never have enough. We live our lives planning and calculating time so that we have the ability to fit everything into our tight schedules. I cannot stress enough that the most important time spent is the time spent on ourselves. Museums are spaces where I find time stops and I give my mind a second to slow down to take in the world around me. As you are reading this post, I ask you to take a few seconds, minutes or hours to let yourself unwind. Think about your own personal space that gives you that same feeling. In the future begin to use time to your advantage. 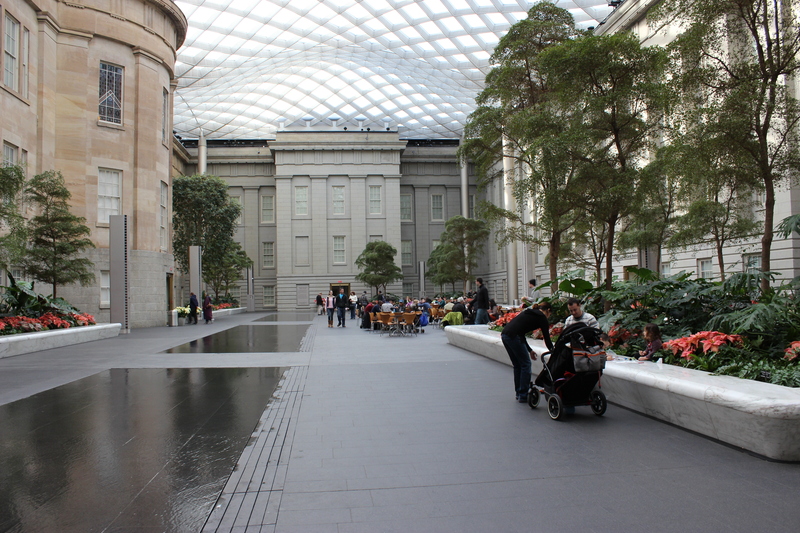 Create a schedule where you are a priority and make places such as the Kogod Courtyard at the National Portrait Gallery part of your daily life not just a pipe dream in the future. Free every day the museum is open! Directories throughout the museum are needed because this particular museum was very broken up. To one side of the museum, there is a portrait gallery which contains many familiar as well as unfamiliar faces. 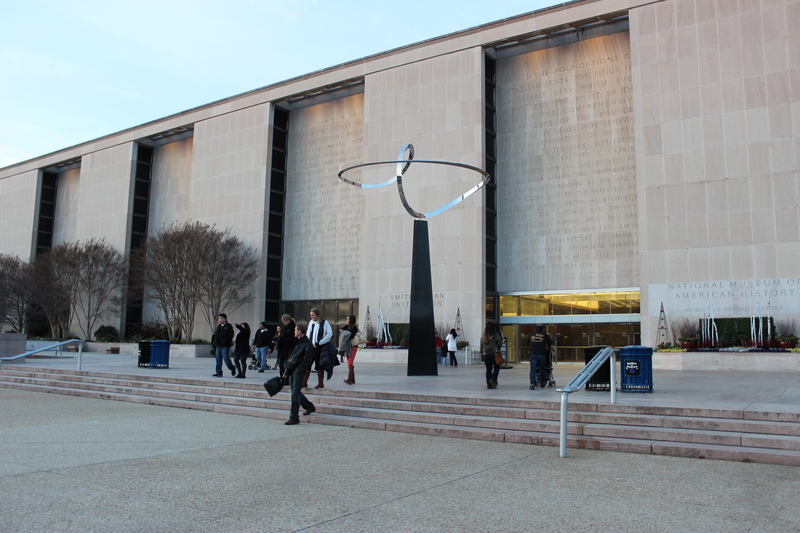 The opposite side contains American art as well as a portrait gallery of the American Presidents. I would say there is no specific way to travel through museums but I would highly recommend looking into what is at the museum and picking a few pieces you would like to see because I felt somewhat overwhelmed. Sometimes when I am in a museum I hope to find just one piece that I feel I was meant to see. On the way out of museum there was a piece that represented of the Preamble of the Constitution. I remember being in fourth grade learning the preamble and thinking this is exactly what makes me American. I still have the preamble memorized and I thought that this was such a beautiful way to represent something that has guided Americans for such a long time. 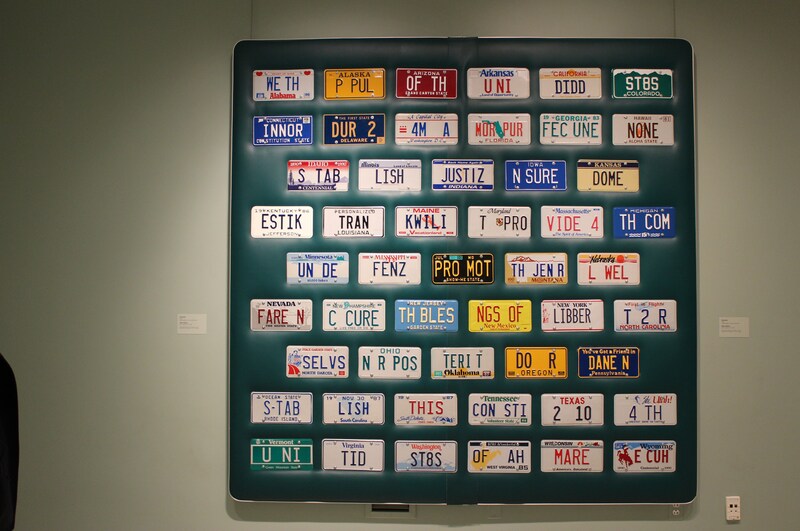 Using license plates from the fifty states, the Preamble was presented. It was such a nostalgic piece not only because of these old license plates together but also reminiscing about School House Rock and the first time you truly had to memorize something so long. This museum will not be on an up and coming list for technology but it was a great way to see so much American history depicted through art. There seems to be a lot of families and older adults visiting the museum. The thing that I absolutely LOVED about the museum was the Kogod Courtyard. This indoor space makes you feel like you are outside thanks to the glass, canopied ceilings that are above you. This is a perfect space to grab lunch and take some time to relax. The space offers free wifi and really gives you an opportunity to incorporate a museum into your everyday life as opposed to a space that needs to be mapped out and planned. The mission of the International Spy Museum is to educate the public about espionage in an engaging way and to provide a context that fosters an understanding of its important role in and impact on current and historic events. *****Due to the secrecy of this mission very little photo evidence will be provided. ****Timed tickets do not guarantee immediate entry. Holidays are a popular time at Spy. Guests may expect outside lines and a wait of up to an hour to enter the exhibit space with timed tickets. We recommend visitors take advantage of the Museum’s extended hours and visit early/late. Please note discount blackout dates apply January 19-20, 2013. DC is a very walk-able city as long as the weather permits. I would recommend the walk if you are able to, so you can see the city and enjoy the famous landmarks. The walk is absolutely worth the trip. 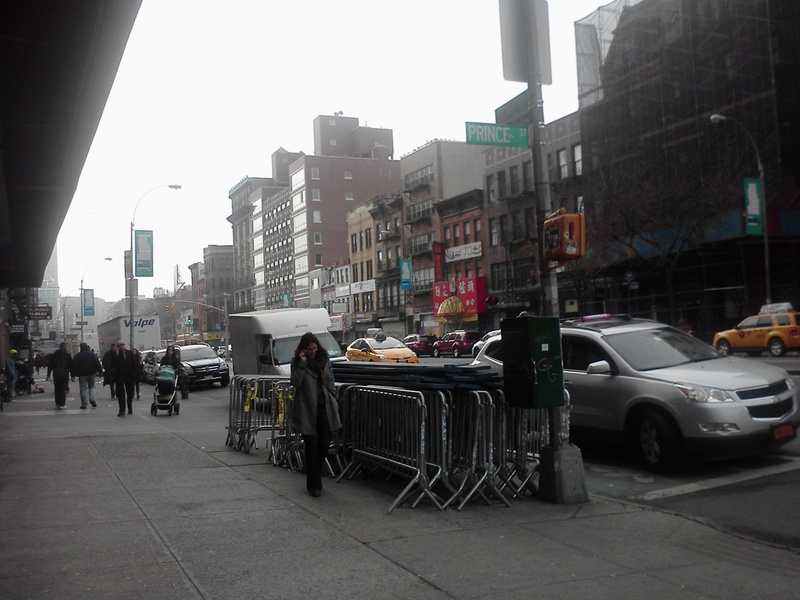 I will mention that unlike other cities, there seems to be a very inconsistent presence of shops and people. This leads me to believe some areas may be more popular during the work week. 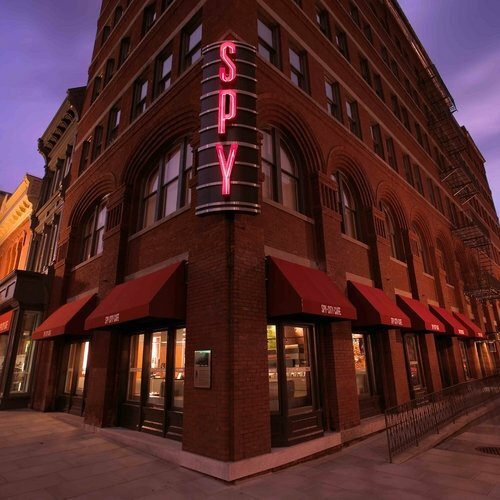 Fortunately, the Spy Museum is surrounded by many shops and restaurants which make it pretty convenient if you are traveling with kids. On my trip, I made good use of the local CVS, because like many of you I have been battling the ever-present colds and flu that have been trying to bring us all down. The Spy Museum is a busy place. I highly recommend setting aside some time to visit. Everything is organized once you enter therefore it’s not the type of place that you will come and go as you please, unless there is an emergency. 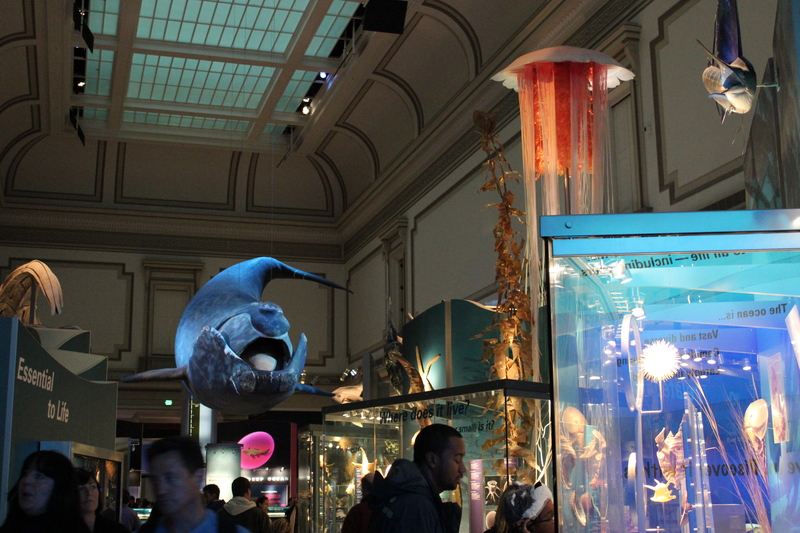 My best description of the museum is a Disney type experience without the cheerfulness. The layout and decoration of this place is something to be seen. Visitors young and old will enjoy the experience. I would strongly recommend wearing less and carrying less. This museum is tight. There is no room for relaxing or even holding a coat. I cannot be positive, but I think that the day I decided to go was the coldest day in history. Carrying a camera bag, a puffy coat, scarves, ear muffs, gloves, and wearing a very warm sweater I was beyond exhausted before I had even paid for my ticket in the cattle line that they have set up in a space that should be double the size. Everything is laid out for you at the international spy museum. Truthfully there is no map needed and frankly with all of the people, I was unable to see if any reading materials were provided. After purchase of your tickets you are lead to another line which takes you to an elevator. The anticipation begins to build and once in the elevator your journey begins. Due to the secrecy of this operation I will do my best not to divulge too much sensitive information. The exhibits are great because due to the secrecy of spies you instantly feel like you are a kid who is hearing secrets that you may not be suppose to hear. Overall, the experience is truly interesting. Spies have been present throughout history and learning about the methods and inventions that have been created in order to help their process was something to be seen. Although you do need to purchase tickets I do believe a trip to see this museum is highly recommended. The interactive aspects of The International Spy Museum are wonderful. I really felt like I was invested in everything I took part in while traveling through the museum. I love to see museums taking history of a subject and making it so current. The James Bond Exhibit is a perfect example of taking spies who have been present throughout time and making them so relatable through media and props. Kid will love this place. You have the ability to touch and understand every exhibit. There are models and visuals everywhere. Kids will feel like they are truly involved in the experience while also learning a lot about the history of spies and seeing the interactions of foreign affairs. Enjoy the experiences; it is a museum that you will not see every day. 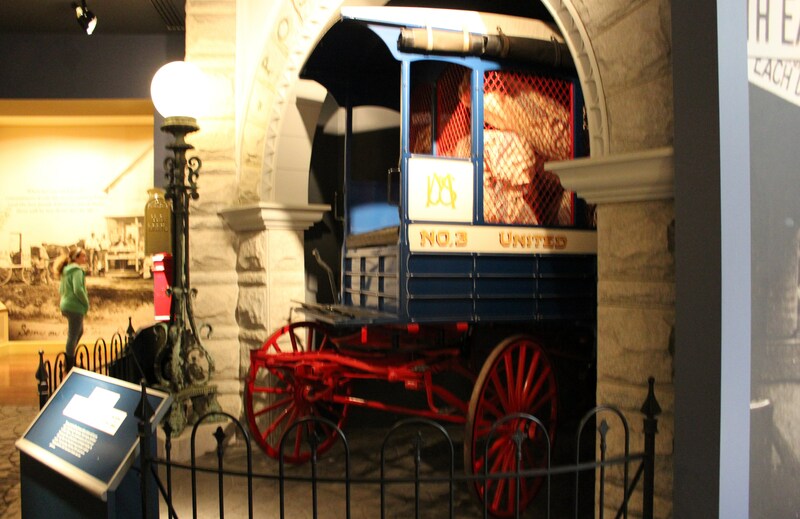 The Smithsonian’s National Postal Museum is dedicated to the preservation, study and presentation of postal history and philately*. 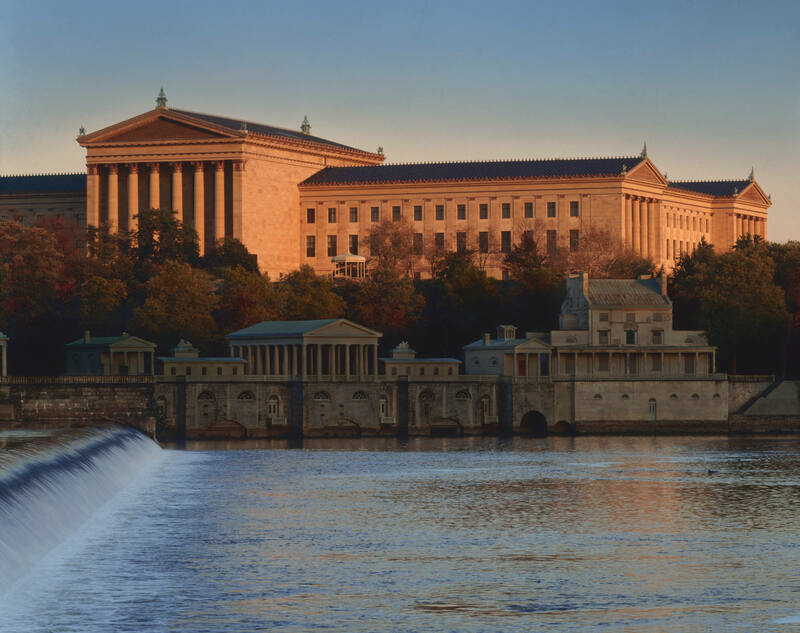 The museum uses exhibits, educational public programs and research to make this rich history available to scholars, philatelists*, collectors and visitors from around the world. 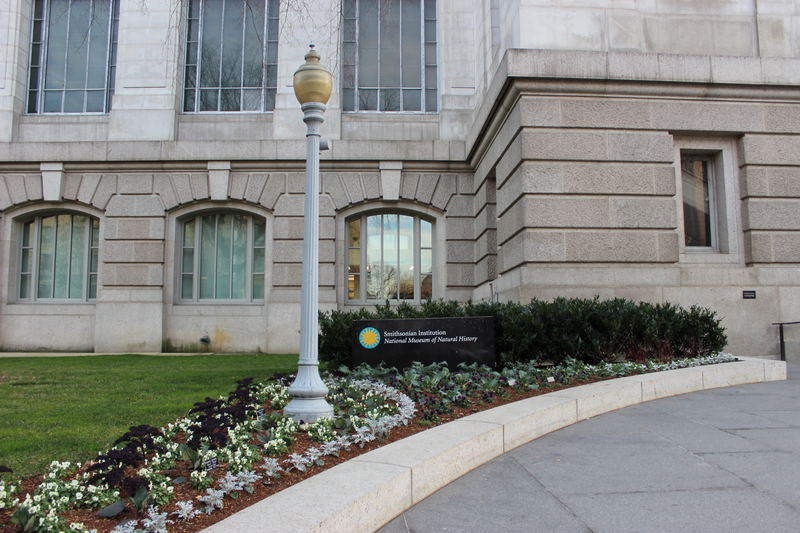 All of the Smithsonian Museums have free admission which makes planning a trip to Washington, DC a good option. 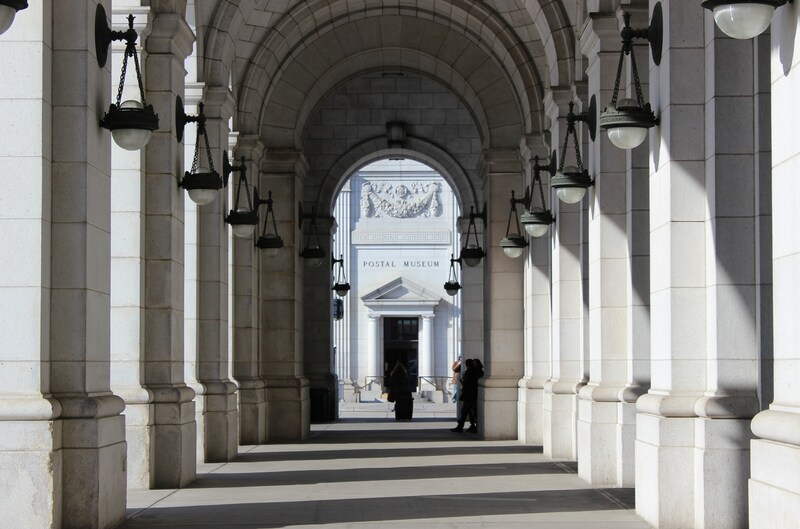 The Postal Museum is located next to Union Station. It’s a large building with tons of signage; simply put it’s hard to miss. This location makes it very easy to take a few modes of transportation such as a train or a bus. The cabs in DC are reasonably priced and take credit cards for your convenience. 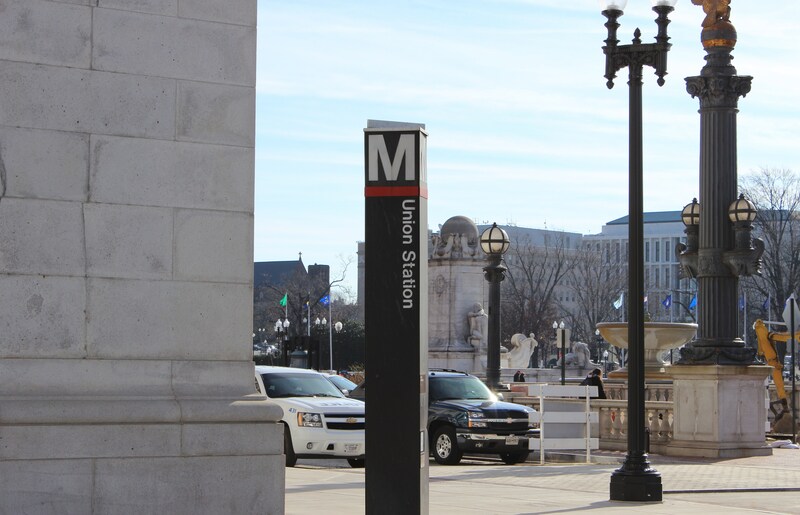 There are stores or restaurants located within Union Station if you are looking for a place to grab a bite to eat. 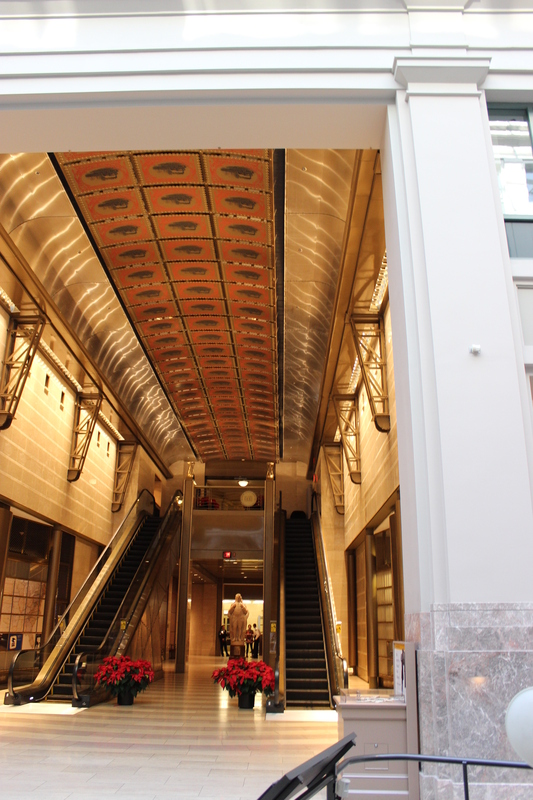 The postal museum in located on the lower level of the building you enter therefore once you are through security head towards the information desk and down the escalators. 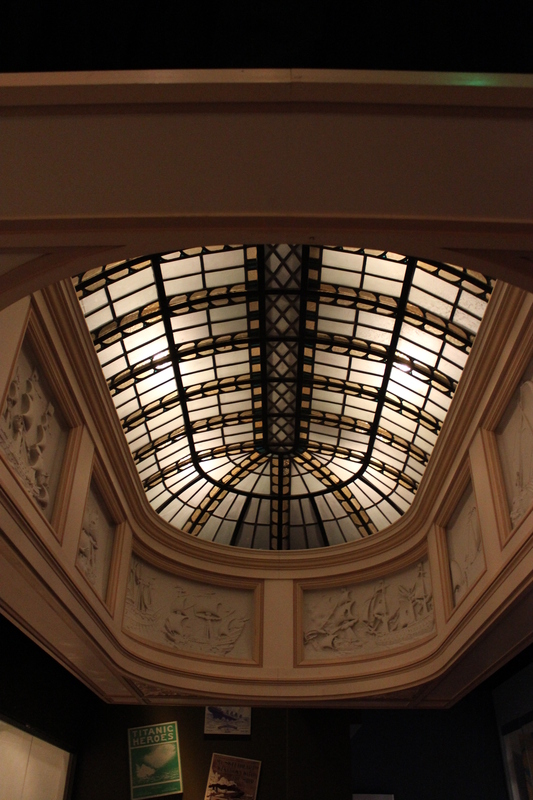 Be sure to look up on your way down the escalator the ceilings are unexpectedly beautiful. The employees at the front desk have maps and information for your trip through the museum. If you are traveling with kids this a great place for you. The entire museum is so interactive and they also provide a kids map to really involve kids. I would recommend the easiest way to travel the museum is start towards the right and work your way around the exhibits then finish at the postal gift shot. Some of the descriptions get wordy through the exhibits but depending on how much time you allotted to visit the museum I would say that reading all of the information thoroughly is not necessary to get something out the exhibits. There are not many locations to sit within the museum but there are plenty of places to stop because it is a very interactive museum. I would say something that was done very well was a mass appeal. Everyone from age 2 to 100 would find something enjoyable about the museum. Depending on your age your favorite parts may vary but there is absolutely a mass appeal to this museum. The Postal Museum has really unique interactive. You are able to see actual mail trucks and mail boxes from different years and locations to really mentally illustrate the changes that have progressed over time. Seeing our mail system at work reminds us the importance and dedication that goes into the mail system not only today but throughout history. If you are interested in seeing more picture please visit the gallery provided in the gallery section which will include some more images to help illustrate the experience. 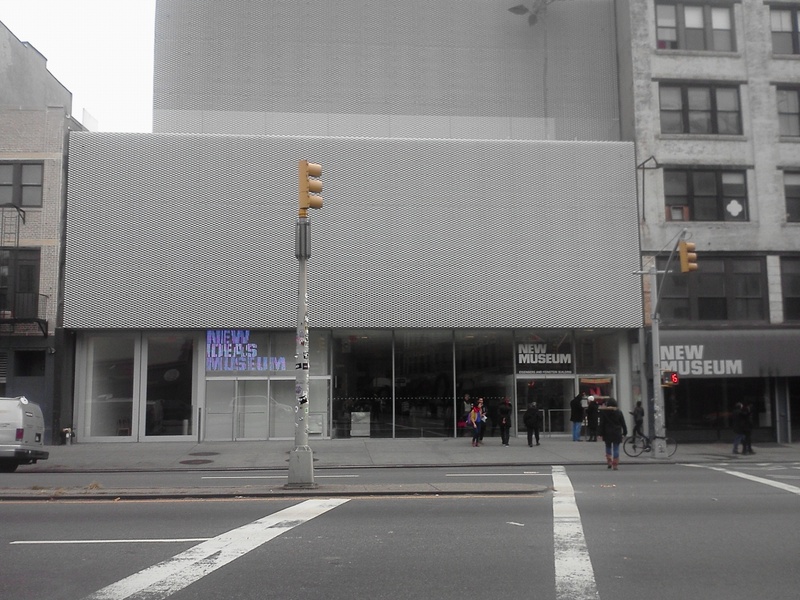 The New Museum is in an area that does not give off the typical New York vibe. The hustle and bustle of New York remains elsewhere. If you are in New York you can take the subway within a short distance of the museum, but if you are not from the area and decide to take a train into Penn station for a day trip, a cab ride should cost you are 14 dollars give or take. For those choosing to drive, the parking seemed pretty accessible throughout the neighborhood. 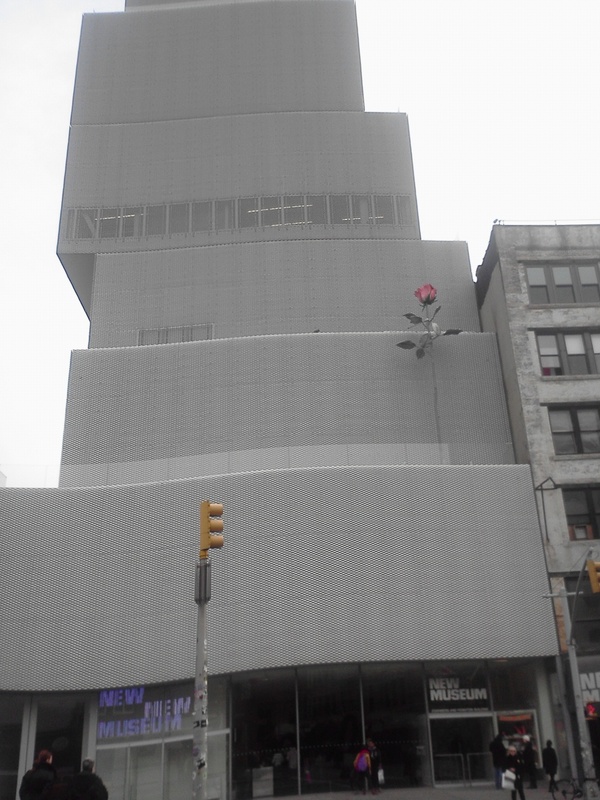 The museum is one of the largest buildings on the block, it is an asymmetrical gray building with a large rose on the front, but there is very little signage which makes it hard to initially tell if you have arrived. The Area is worth traveling to. The opportunities for a day trip are endless. 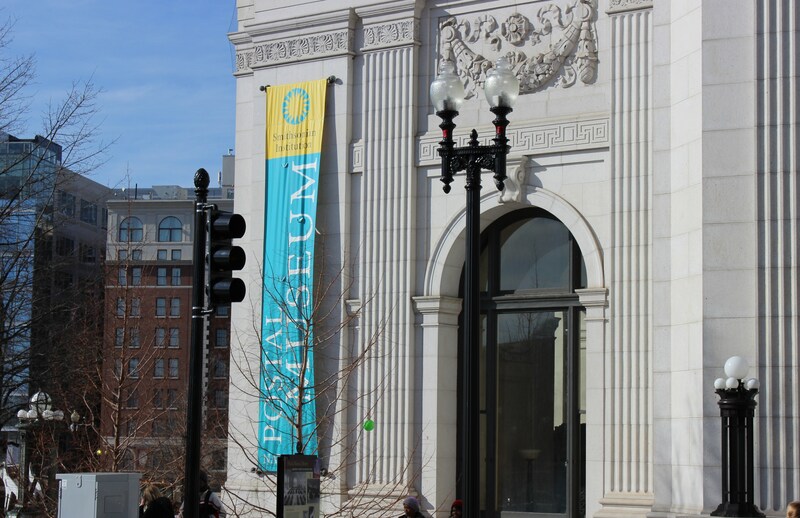 Galleries, coffee, shopping and more are all within walking distance. Street vendors are close by with the opportunity to purchase handmade jewelry and t-shirts. If you are hungry after finishing at The New Museum I highly recommend the Diner right on the same block. The Bowery offers an atmosphere of a hip diner and delivers delicious food as well. The prices are reasonable for the quality and amount of food you receive. Any questions feel free to ask; the service was great there. In the museum I started at the top and worked my way down because the top is a sky room that offers a panoramic view of the Manhattan skyline. The navigation of the museum is pretty self-explanatory the beginning and ends of each exhibit lead you to the stairs as well as the elevator which makes the ease of the direction apparent. I will say that although travel throughout the exhibits was pretty easy there was little signage and I did have a difficult time finding the opportunity to go to the bathroom without causing a scene. The employees were not overly friendly. In general, I would say they seem pretty much removed and disinterested with their jobs. 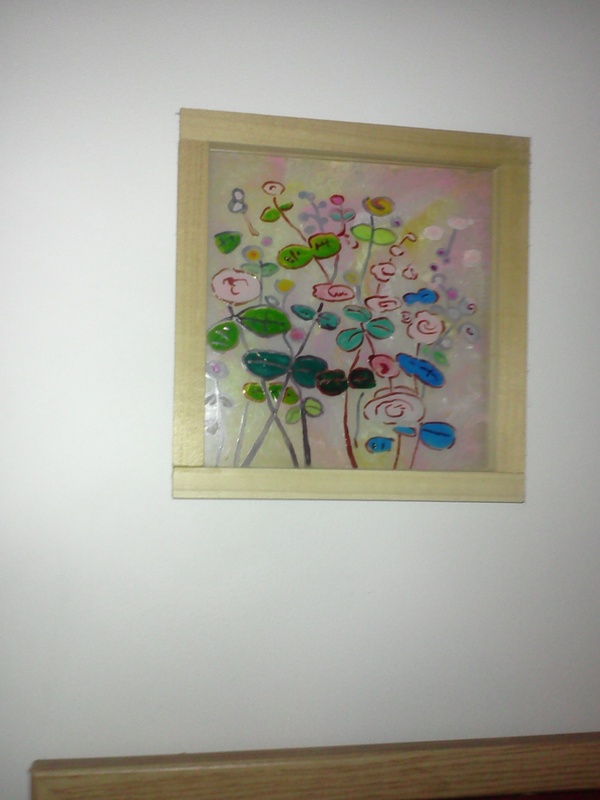 The art really works well within the space because it is visually appealing without taking away from the work. 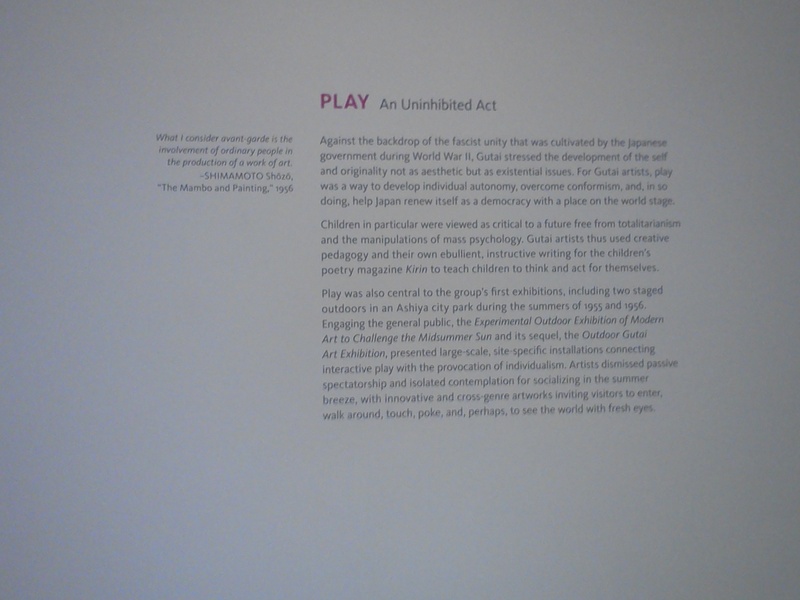 The gallery descriptions and placement of identifications were confusing. At times I found myself searching for these materials throughout the exhibits which can get frustrating. Overall the museum seemed to be filled with young academics and families; the population seemed to be a good mix. The most memorable aspects of my trip would include the sky room and the overall experience of spending the day around the museum. The area really gave me a new appreciation of New York. When traveling there you begin to think every location is just like times square, but really there are many neighborhoods that give you a much more laid back feel, which allows you to appreciate the city a lot more. While standing near a piece that looked like a large lobster, I heard a little girl say to her mom that it looked exactly like what they had for dinner that summer. The mother agreed and they walked away. Shortly after that pair left an elderly gentlemen was looking at the same piece and was talking to his wife about how this piece represents the circle of life and we are all involved no matter our size. I had to laugh that the girl must not have been too far off. I hope her mom recognized that her daughter may have a future in the art world.